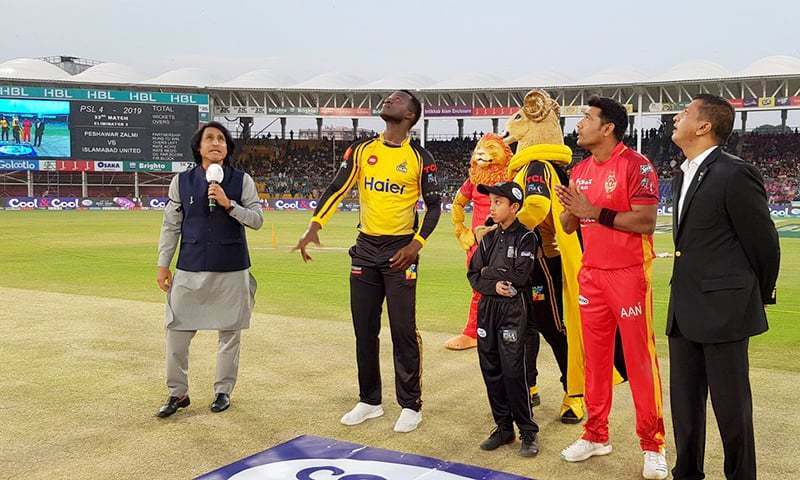 Defending champions Islamabad United were knocked out of the Pakistan Super League (PSL) 2019 on Friday as yellow storm Peshawar Zalmi won by an overwhelming margin of 48 runs in the eliminator clash between the two sides at the National Stadium in Karachi. 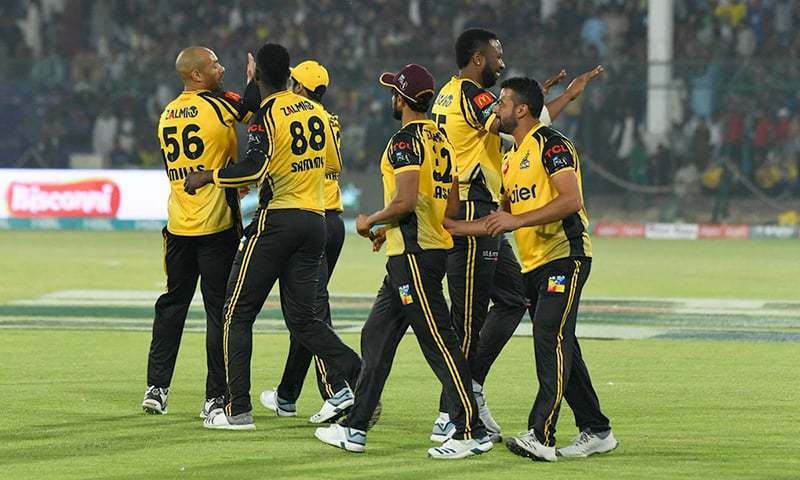 With this win, Zalmi moved on to the final for a chance at winning the trophy once more as they face-off against the Gladiators on Sunday, March 17. 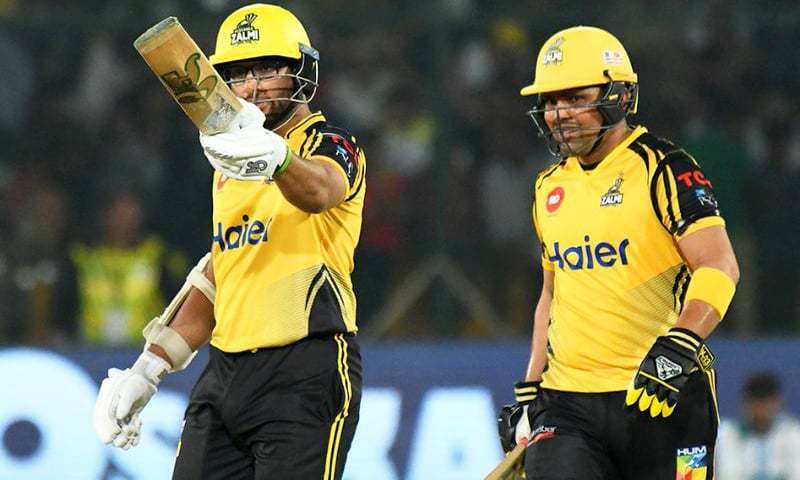 The Gladiators earlier reserved a coveted spot in the final with a 10-run victory against Zalmi. United won the toss and decided to field first against Zalmi, who in turn set a 215-run target for United to pursue. Zalmi put up a very efficient and objective performance with Kamran Akmal and Imamul Haq's opening stint alone bringing about 135 runs. The first to go among the two was Imamul Haq who was dismissed at 12.2 overs after he was caught behind by Ronchi on Delport's delivery. 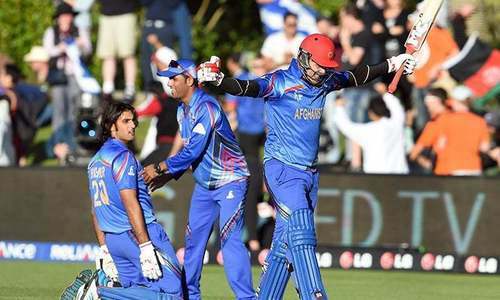 His was a brilliant knock: 58 runs off 33 balls with a whopping seven 4s and two 6s. Akmal did not hold on much longer after Imam's departure as he got out at the end of the over courtesy Delport once more but not before putting up a phenomenal 74 off 43 balls with a colossal ten 4s and three 6s. Kieron Pollard, Imam's replacement also put up a worthy performance, scoring 37 off 21 balls before a miscommunication with Sammy led to an appeal for out after his foot obstructed the ball in a run out attempt. The lead wicket taker from the United side was Delport who took the first two wickets, while Shadab Khan took the third. From the United side, the only notable performance was that of Walton who managed to add 48 runs off 29 balls in the total. Aside from Walton, Faheem Ashraf scored 31 off 14 balls. The side struggled throughout the innings with Hales disappointing as he got out at 1, while Asif Ali and Shadab Khan were both out for naught. Jordan and Hasan Ali from the Zalmi both shone with 3 wickets apiece to bring the side crashing down, 48 runs short of the target. Yes Peshawar way to go..... Kamran and Imam played fantastic. And of course Sammy and Powell are in great form. Final should be good.... i want Sammy’s team to win..... Go Sammy and Pollard!!! Go PSL!!!! And lets not forget Hasan Ali, Wahab Razak, Mills, Jordan and the rest of the bowling squad!!! 2 of my favorite teams in the final. Well done Misbah and ZalmI! 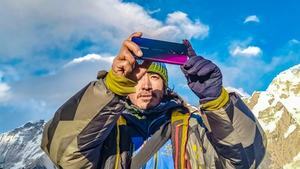 Very encouraging and enjoyable. Glad that teams from NWFP/KPK and Baluchistan are heading the leagues and showing their spirit. Lovely scenes.. PZ played too good. The only weak link in Zalmi team is Sohaib Maqsood who has miserably failed through out the event. 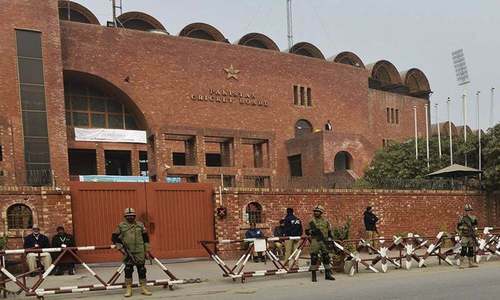 The two top and best 2019 PSL teams have qualified for the historic grand final on Sunday, March 17, 2019 at the famous National Cricket Stadium in Karachi, Islamic Republic of Pakistan. Well done and keep it up.